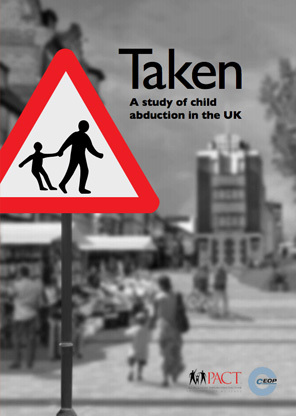 Taken (2013), a collaboration between PACT and CEOP (the Child Exploitation and Online Protection Centre under the National Crime Agency) develops the first-ever national profile of child abduction in the UK. It reveals the inadequacy of official statistics on the scale and nature of child abduction. Its main recommendation is the creation of a national on-line Child Abduction Hub, as a repository for the latest information and research. PACT’s Director of Research, Geoff Newiss, was awarded a Police Commendation for the ‘quality of his research and the subsequent report’. PACT duly launched the Hub in May 2014.